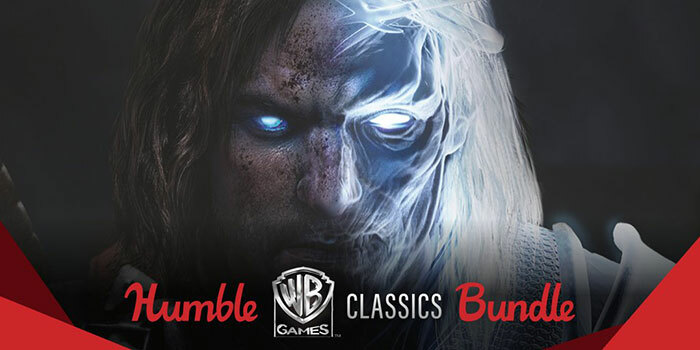 The Humble Bundlers have released a new good value collection of games. This time around, if you didn't already guess from the name, the games are all from Warner Brothers. That means some big franchises are included, such as various Bat Man titles, as well as the likes of Mad Max, Bastion, and Middle-earth: Shadow of Mordor (GOTY). As usual the 'bidding' starts at just $1 for Steam keys for the entry level games tier. The trio of tempting titles at this level are; Batman: Arkham Origins, Middle-earth: Shadow of Mordor Game of the Year Edition, and Scribblenauts Unlimited. Pump up your contribution to pay more than the average, which is currently $4.14 (about £3.18) but will move around, and you can scalp; Mad Max, Bastion, Injustice: Gods Among Us Ultimate Edition, and a 10 per cent off LEGO The Incredibles voucher. The ultimate tier in the WB Classsic bundle will cost you a contribution of $12 (about £9.21) or more (charity, remember). For this sum you will unlock Batman : Arkham Knight, and the Batman: Arkham Knight Season Pass which includes all premium edition DLC. This time around the charity highlighted by Humble Bundle is 'Be The Match' but its easy to switch this to a charity of your choice via the PayPal Giving Fund if/when you make a purchase. As well as Humble Bundles, there is often a bargain or two to be had in the frequent Steam Sales. PC gamers are often tempted by these sales events and rather than pick through the sales it is sometimes worthwhile to create a wishlist and get auto-email alerts of sale items. Twitter user Skr Skr GVNG, via VG247, has spilled the dates of the next three Steam Sale events, so you can prepare for the wallet squeezing. As you can see in the screen grab, the next sale is very soon, starting on Monday 29th October at 10am PT (5pm GMT), and ending on the Thursday. That's rather short, and the shortest of all the three sales. Lastly, this is basically a rumour, as VG247 notes, Valve doesn't usually pre-announce sales dates. 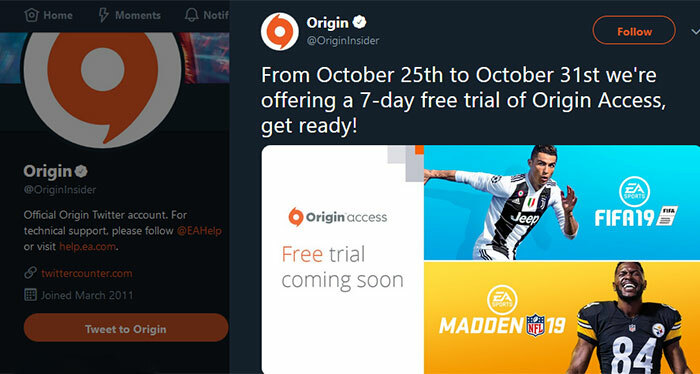 Free is good, though I predict some will dispute that with EA/Origin involved. Nevertheless, many will be happy to know that Origin Access on PC will be running a free trial of its subscription service starting tomorrow. The free trial will give you access to play the catalogue of 100+ titles currently available via the service, for a whole week. If you have to sign up for this deal tomorrow and it asks for some payment card details, remember to cancel the billing ahead of the end of the trial period. Some very good games in that bundle, Scribblenauts and Bastion stand out for me. My daughters have come up with some very creative solutions to the problems and puzzles in Scribblenauts. Been trying to avoid EA but wanted to try Mass Effect Andromeda to see if it was as bad as suggested so this trial does seem a cheap way of doing so!